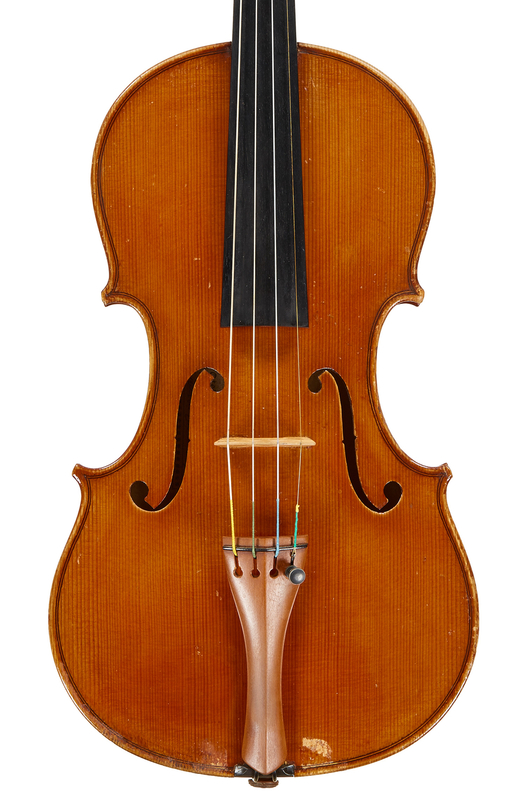 Unlike many of his contemporaries, Otello Bignami (1914–1989) came from outside the violin making tradition. He was born into a working class family in Bologna and had to begin earning while he was still a child in the early 1920s, first as a handyman and then as a journeyman employed by specialized furniture makers and restorers. By his own account he became an expert in lacquers and polishes, restoring antique furniture and indeed anything from carriages to pianos. But his first meeting with the violin via a street performer in Bologna captured him completely. He described it as like a ‘magic singing coming from the heaven’, so he ‘had’ to get a fiddle somehow! But as his family was not wealthy he had to sacrifice a good part of his salary even for the cheapest instrument. When he was finally able to get a proper violin, he took lessons whenever possible and studied during the night. Bignami continued with his restoration work, while at the same time trying to complete his violin studies (in fact he finally gained his diploma from the Royal Philharmonic Academy of Bologna at the age of 57). But this was the period leading up to the outbreak of the Second World War and he decided that it was too risky to become a professional violinist during such turbulent times. 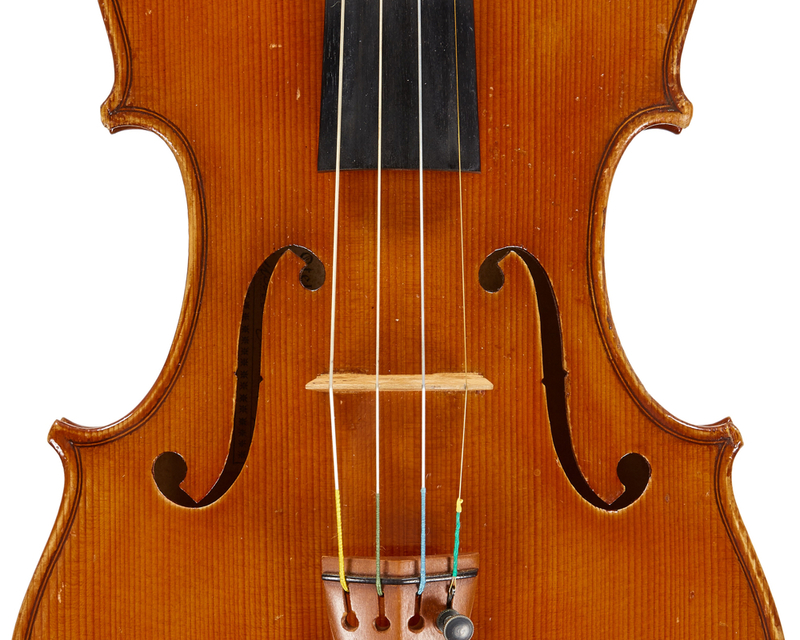 Instead, after the war and with a young family to support, he decided to teach himself violin making in parallel to his existing work, which allowed him to earn a living. Bignami was in his early 30s when he completed his first instruments. He worked mostly in the evenings at his kitchen table with just his own intuition and a few tools. Yet he was determined and by the time he reached his 40s he was producing instruments of a professional quality. His work soon became noticed by some well-known Italian players and teachers of the time, including the violinists Enrico Campaiòla and Sandro Materassi. He also taught himself bow making and a few bows bearing his brand still exist today. Having collaborated initially with the local maker Giuseppe Bonora, Bignami applied to study with Gaetano Pollastri in the early 1950s. Pollastri accepted him informally as a student and became his direct link with the modern school of Raffaele Fiorini (who had taught Pollastri’s elder brother, Augusto). By the mid 1950s Pollastri finally gave him permission to sign his labels as an official pupil of Pollastri, a day which Bignami always described as the happiest of his life. Pollastri died in 1960 when Bignami was 46. By this time he had already won several awards for his instruments, including first prize in the viola section of the Academy of Saint Cecilia in Rome in 1956; the following year he received both the first prize at the Ancona Exhibition and a gold medal in the prestigious Wieniawski Competition in Poznan, Poland. 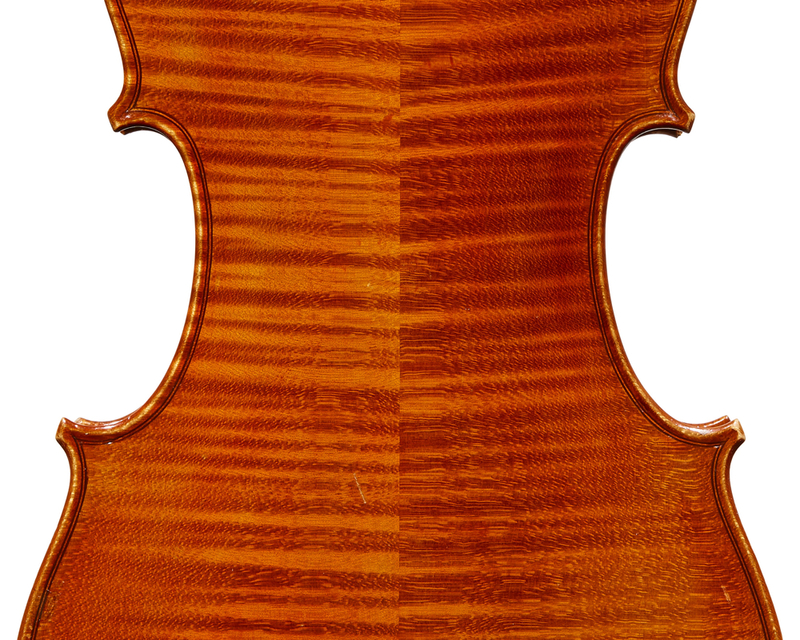 Being well aware of the value of the Bolognese violin making tradition and Raffaele Fiorini’s role in handing down this tradition in the 19th century, Bignami was keen to pass on his own knowledge of the craft. He trained many pupils himself, including Curzio Rossi (1936–1977), Antonello Gamberini (1961–1991), Antonello Adamo (fl. 1964–1995) and Maurizio Spignoli (1958–2007) as well as various Bolognese makers still active today, such as Pietro Trimboli, Luigi Laterrenia, Paolo Ansaloni and Franco Samoggia. 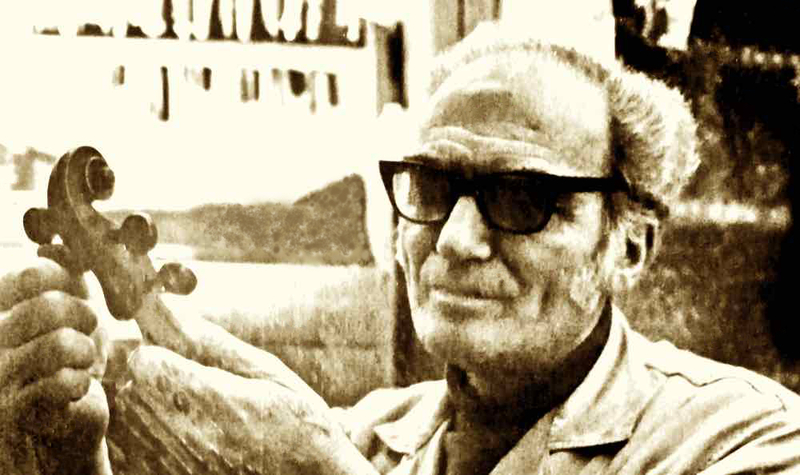 Then in the 1970s he helped the Confederazione Nazionale dell’Artigianato to establish a school of Bolognese violin making, something that Giuseppe Fiorini had dreamed of in the early 20th century. 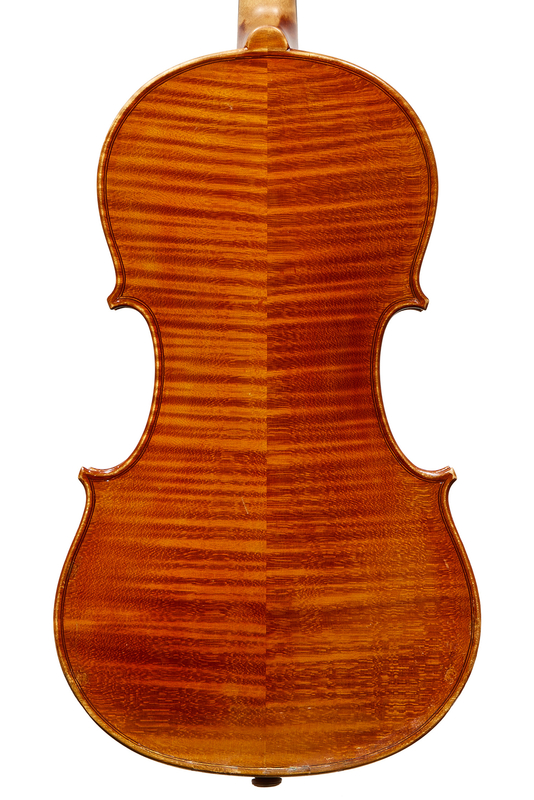 The school, located in via Santa Margherita in Bologna, was founded in 1979 and offered a four-year course for violin makers. 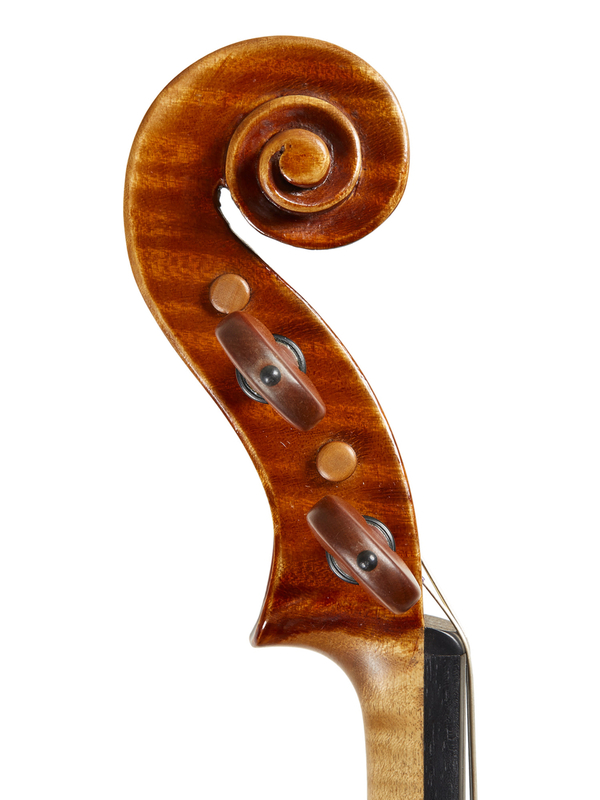 In the same year Bignami was awarded a special prize (the ‘golden violin’) at the Bagnacavallo national competition. The finest period of Bignami’s production has to be considered his middle one: c. 1951–79. 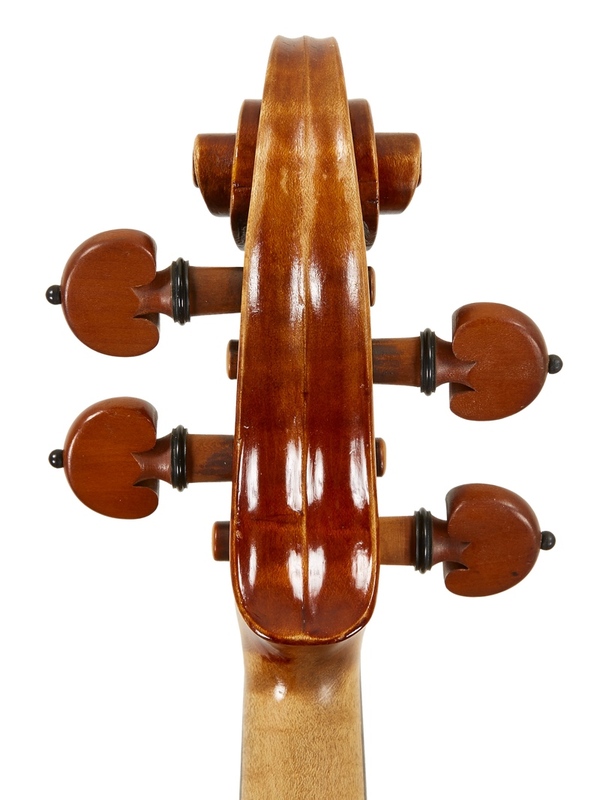 At the beginning of his career his instruments lack a certain classical style, despite their clear personality, while in the instruments from the 1980s – despite their maturity of sound – his workmanship sometimes loses precision, possibly due to the involvement of his students and his declining health. Bignami was a connoisseur of antiques and his house was full of items collected over the years: paintings, sculptures, furniture and decorative objects in general. He worked in a small room at one end of a typical Bolognese old apartment in via Guerrazzi, facing the Accademia Filarmonica. Visiting him was a museum-like experience in a friendly atmosphere. Bignami died on December 1, 1989. In 2004 his workshop at via Guerrazzi 10 was entirely reconstructed at the Museo Internazionale e Biblioteca della Musica di Bologna and is now permanently displayed in the museum. The city, which has also named the Giardinetto Otello Bignami in his memory, celebrated the centenary of his birth in October 2014 with an exhibition of 13 instruments at the Museo and Biblioteca della Musica in Bologna. 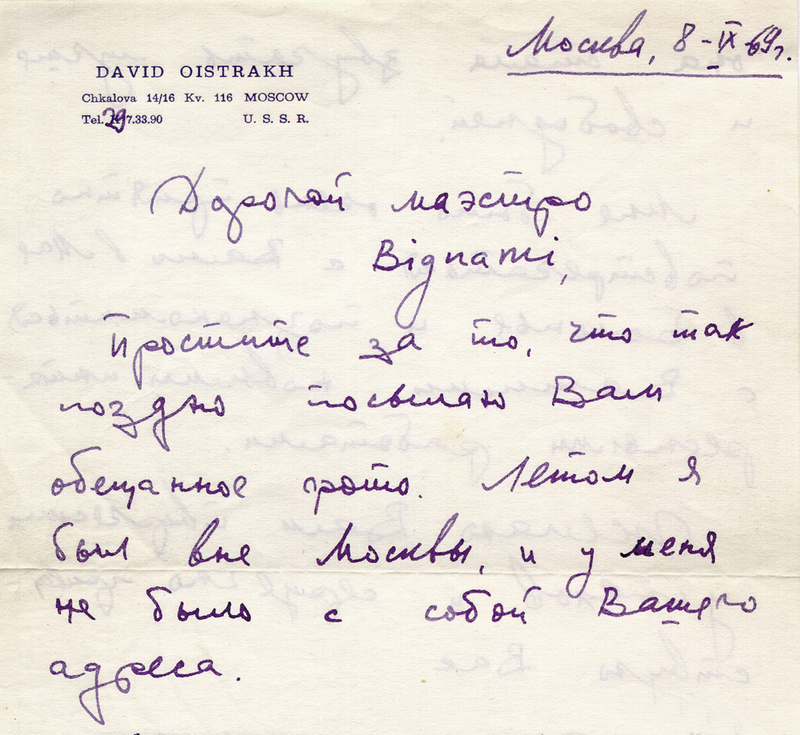 With thanks to the Bignami family for kindly supplying photographs and information. 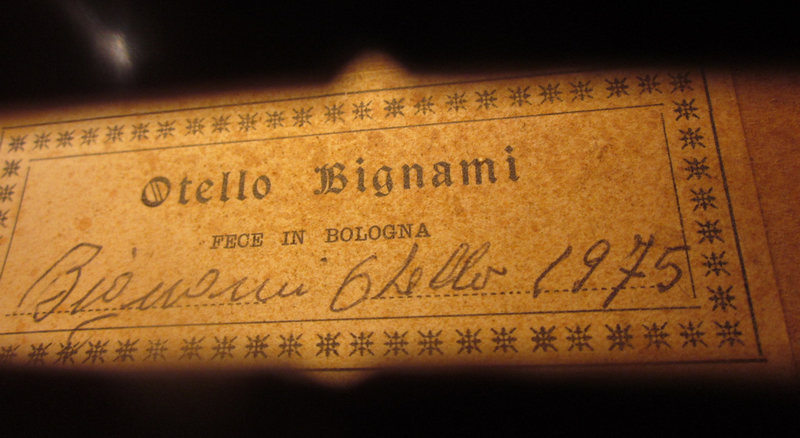 Bolognese maker Roberto Regazzi was a pupil of Otello Bignami from the mid 1970s. 1. Otello Bignami Liutaio in Bologna, Cremona 2005 #2. Fantigrafica (revised and enlarged ed.). 2. Otello Bignami Cent’anni 1914–2014, Comitato Celebrativo, Bologna, 2014. 3. Note su Otello Bignami Liutaio in Bologna 1914–1989, #2. Florenus Edizioni, Bologna (reprint). 4. Otello Bignami – Ricordi, 46 testimonianze nel Centenario della sua nascita, Bologna, 2014. 5. Carlo Salomoni (ed), A Misura d’Uomo, Lo spazio del cittadino (Chapter 3: Ambiente, giovani, teatro, scuola in dodici progetti di servizi pubblici nel Comune di Bologna), Marsilio Editori, Venezia 1985, p. 88. 6. Daniele Benati, Pierluigi Giordani, Stanze Bolognesi – La Collezione Lauro, Nuova Alfa Editoriale, Bologna 1994, pp. 40–41. 8. Alessandro Bugatti, Adriano Ragazzi, Tecniche basate sulla conoscenza per la classificazione di oggetti complessi: un’applicazione all’analisi di violini di interesse storico, Università di Brescia, Brescia 1998. 9. Gioacchino Passini, Quaderni della Galleria Comunale d’Arte Moderna – Palazzo Ducale Pavullo nel Frignano, Modena 1990, p. 5. I: Mostra dell’artigianato artistico, Piazza S.Stefano, Bologna 15–25 Settembre 1988, C.N.A. – Provincia di Bologna, 1988, p. 5. II: Mostra dell’artigianato artistico, Piazza S.Stefano, Bologna 14–24 Settembre 1989. C.N.A. – Provincia di Bologna, 1989. 11. Chiara Tenan, Otello Bignami und die Bologneser Geigenbauschule des 20. Jahrhunderts, Salzburg 2001.